Family Day at museum of Jaunmokas Palace – making bird feeders! 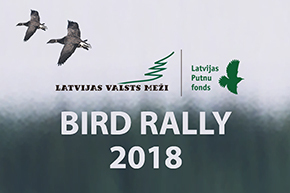 In terms of bird and fish stocks, LVM Lake Kaņieris is one of the richest lakes in Latvia. It is a popular place among fishermen and birdwatchers.